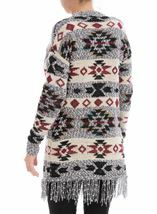 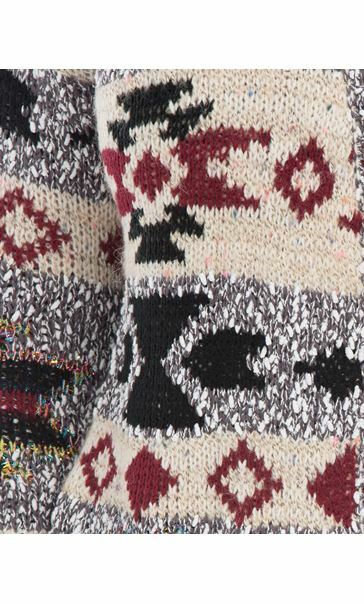 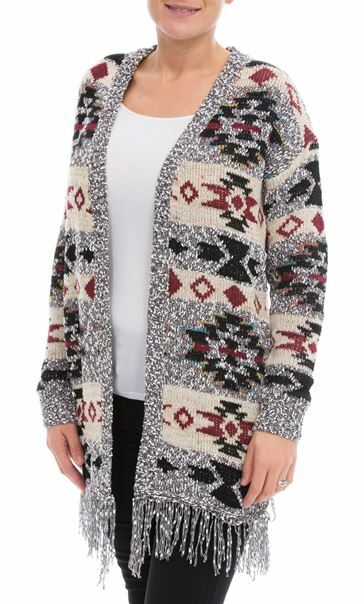 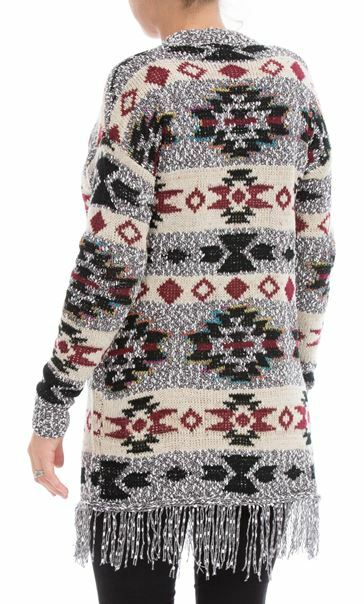 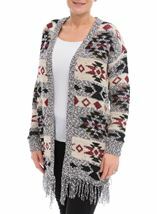 Wrap up in this stylish Aztec print mid length cardigan. 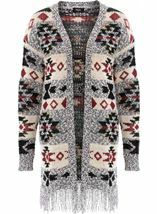 Designed to bring a pop of colour to your outfit, the multi coloured sparkles that run through this cardigan really catch the light. 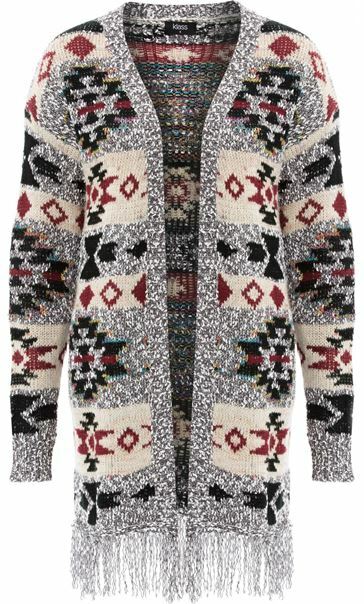 Throw over any outfit to add that finishing touch. 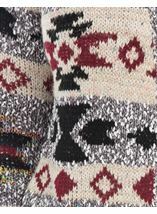 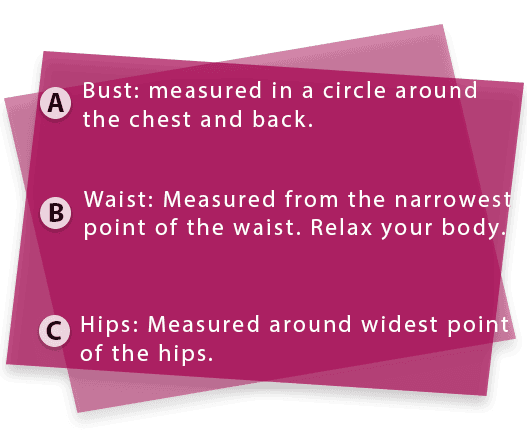 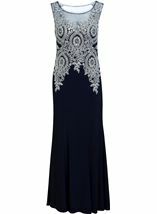 Length 76cm.